On the morning I left Nashville to move to California, my Uber driver picked me up and asked me what kind of trip I was taking. "A big one," I told him. I looked over at my beautiful city. At the brilliant reflection of a six o'clock rising of the day on windows of buildings and sides of bridges that weren't there when I moved here. A stunning city that has grown up and become something I didn't know it could. You can pre-order my memoir at onethousandwells.com. 1. Kindly offering me directions to the subway, the first time you and I met in New York. 2. Remembering my name the second time we met, in a line in Amsterdam. 12. You taught me that basil and pesto are related - and to like them both. Happy Birthday, James. What a life. It is such a gift. p.s. I love the bow tie. After compounded weeks of rushing out in the mornings, rushing home in the evenings, pumping between meetings and in taxi cabs and green rooms and public bathrooms and the back of airplanes, washing parts, storing milk, carrying coolers and ice packs, not sleeping through the night in 132 days (yes, I'm still counting), coordinating schedules/supplies/instructions for nannies and babysitters, dealing with Jude getting hand foot & mouth disease which he then generously shared with me, showing up in the office with fevers and chills, attending meetings and engagements in Boston, DC, and Atlanta, negotiating with James' equally demanding work schedule, and continuing to press forward in our attempts to raise the money necessary to bring water to another million people in Africa, I kind of couldn't take it anymore. All I could think was, this is not working. I looked at James, and waved my proverbial white flag, wishing the world stop for a moment so we could catch our breath and look each other in the eye and ask what just happened to our life. But we knew that the world wasn't going to stop on our behalf. So, in a moment of clarity (and desperation), we deliberately stepped out of our world for a week and took a Time Out. We hopped on a plane, and James' parents graciously welcomed us into their San Diego home. His parents took care of Jude while I recovered from my fever; they took early morning shifts with him so James and I could sleep. We played with our baby and soaked in the sweet moments we miss when we are at work. We dipped his toes in the water. And we handed him to his Lovey and Grandpap so James and I could walk, journal, read, float in the bay, eat real food, and take deep breaths of the Pacific air. In all of this change since baby, I had no idea how much I would miss my husband. We are in all of it together, co-parenting and partnering together to get through our days, to care for our son. But all of the moments of intimacy that make our marriage rich have disappeared in the demands of our new normal. James and I spent the week revisiting the values we set forth on our wedding day, that have been a compass for us in times such as these. Being the strategic executives that we are, we graphed venn diagrams of our values and tried to understand where we are and where we want to be. We did not, of course, solve all of our problems in one week together, but we did get a chance to hit the reset button with fresh perspective, extra rest and a reminder for what matters most to us in our desire to take care of ourselves, love one another and love our neighbor. We affirmed the need to pace ourselves, to ask for help, to be willing to live differently when the status quo detours us on a path we ought not to take. The world will not stop on our behalf, but taking moments of true rest from the hurry of life is vital. A recent New York Times article speaks to the importance of this reset. James and I recognize the privilege we have in mobility and access - but in whichever way possible to you to find rest, I hope you can make room for it, too. 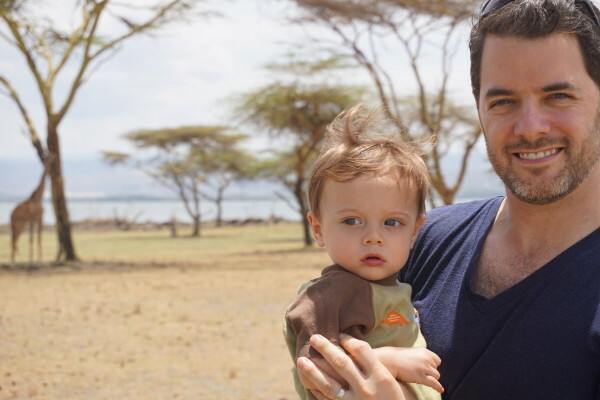 James has been in East Africa for the last two weeks while Baby Jude and I have held the fort down in Nashville. While James' time in Africa is the shortest he's ever taken, it has felt quite long for all of us. Our seven years together have been nothing short of amazing - the adventure of travel and mission, the missing each other and the reunions, the intentionality of a stash of hand-written letters for each day that we are apart or the shared book we read while away or the end-of-day emails we send to each other. I'm proud of how we've found a rhythm - a way to stick together even when we are miles apart. But now, everything changes. Because how can you maintain the same kind of presence or intimacy with your three-month-old son when you're halfway around the world? I think we knew that truth (which is one reason why it took so long for us to try to have a baby), but we didn't really know it until we have lived it out over the last couple of weeks. We are so grateful for Face Time so that James can watch the dramatic growth and changes that seem to occur on a daily basis. But it is no substitute for cuddling with your baby in the mornings or holding him when he cries at night. We don't know what the answer is. For us, it's a bit of trial and error. Of trying and learning. Of fumbling along the way. And of trusting that there truly is a way to live out commitment to both family and mission.